The Blockheads team is made up of six classmates and friends from St. Louis, Missouri. Ellie Englund, Sydney Gralike, Reagan Mattison, Julianna Jones, Christina Yepez and Sindhu Bala are a part of an Eastern Missouri FLL Team. Under the direction of Coaches Michelle Yepez and Dr. Bharathi Raju, we compete in robotics and science competitions. As part of Girl Scout Troop #1484, the Girl Scouts Organization is our biggest sponsor. 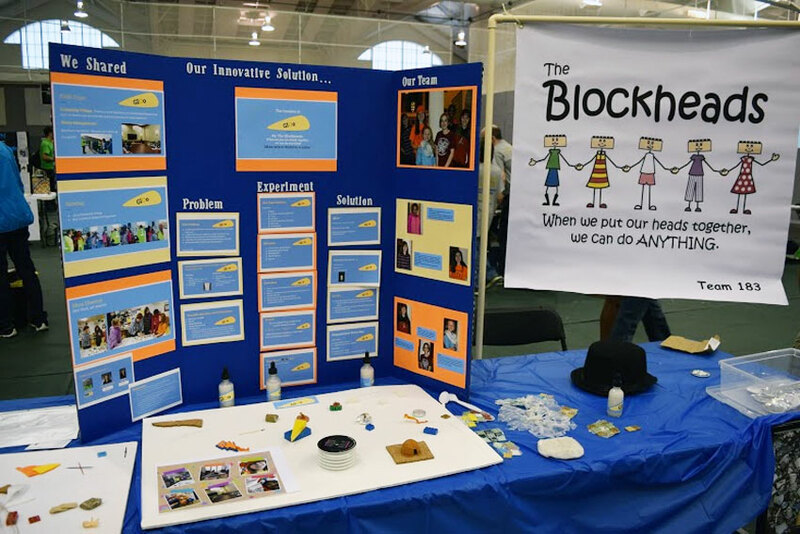 We were proud to exhibit at the 2016 White House Science Fair on Wednesday, April 13. We were interviewed by President Barack Obama who tried out our EcoGlOo! We were able to stand behind him during his press conference about the fair, our fellow student scientists and their projects. We’re really excited be six of only about 100 kids that were invited to the White House! It was broadcast live at whitehouse.gov. Here’s the White House’s website page for the 2016 Science Fair.